“And Peter said to them, “Repent and be baptized every one of you in the name of Jesus Christ for the forgiveness of your sins, and you will receive the gift of the Holy Spirit. ” – Acts 2:38. 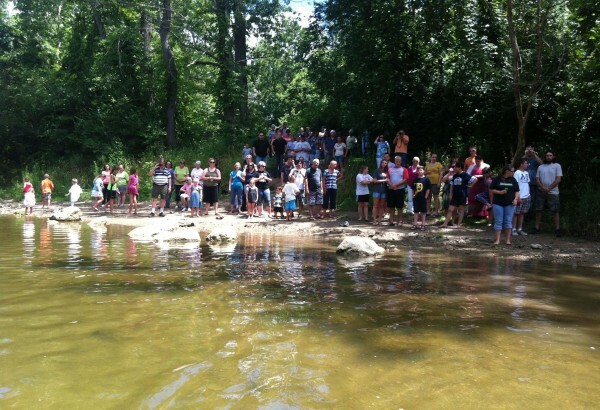 In the Summer months we offer creek Baptisms. 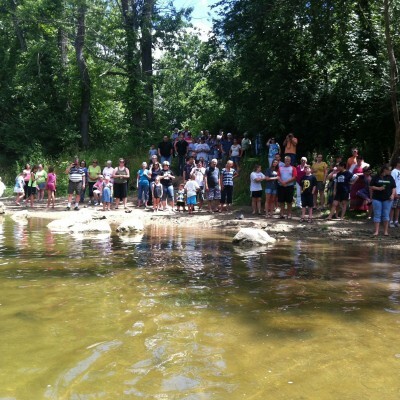 In July 2013, Pennyroyal Baptist Church Baptized 13 people!